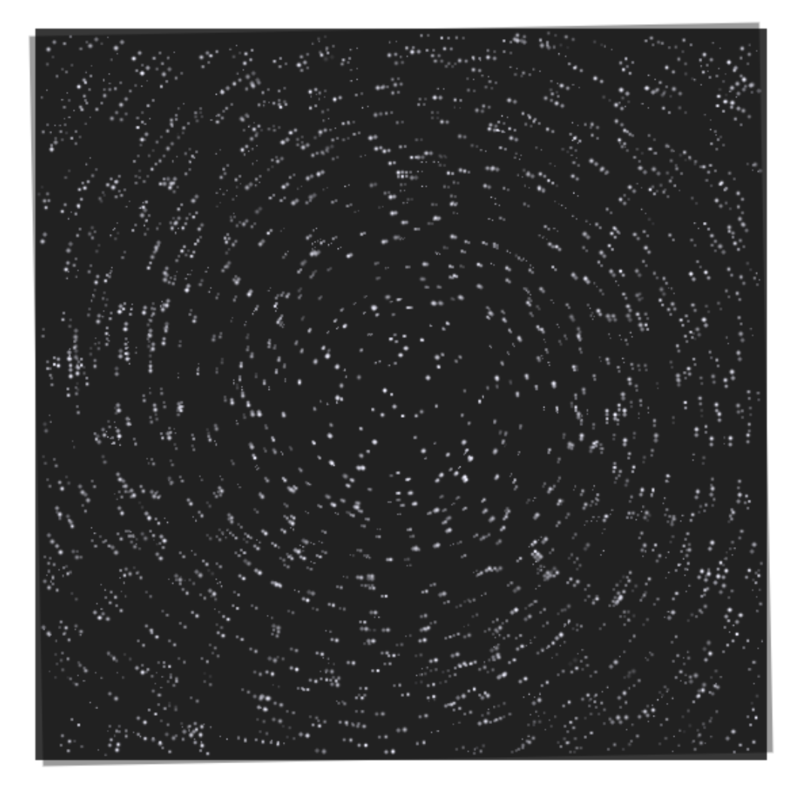 Move your mouse to interact; Notice the spirals that seem to appear out of nowhere. 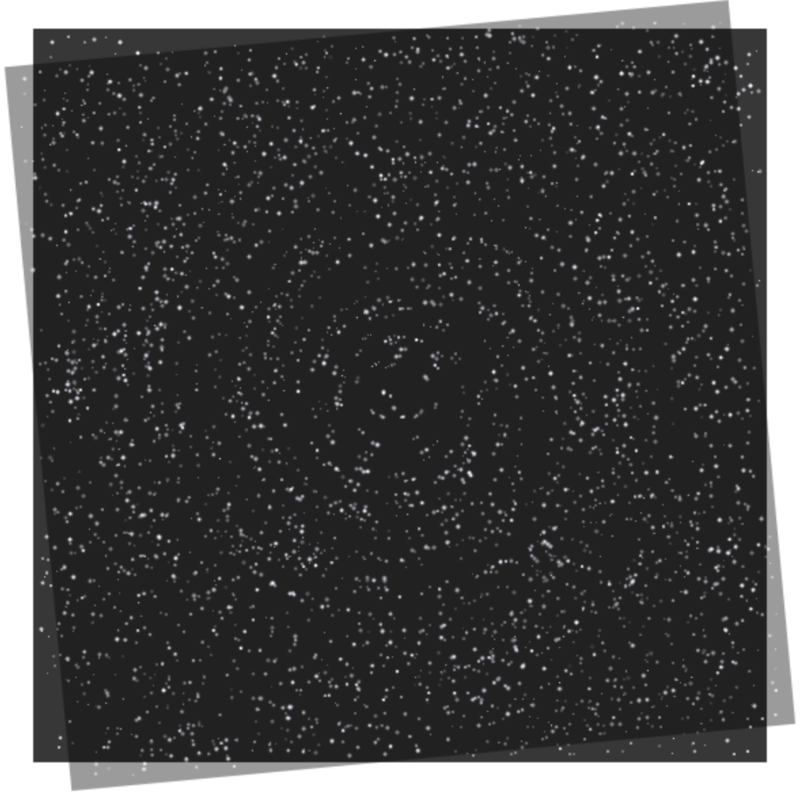 Click to create new stars. This video from the Numberphile channel inspired me to create this interactive script. 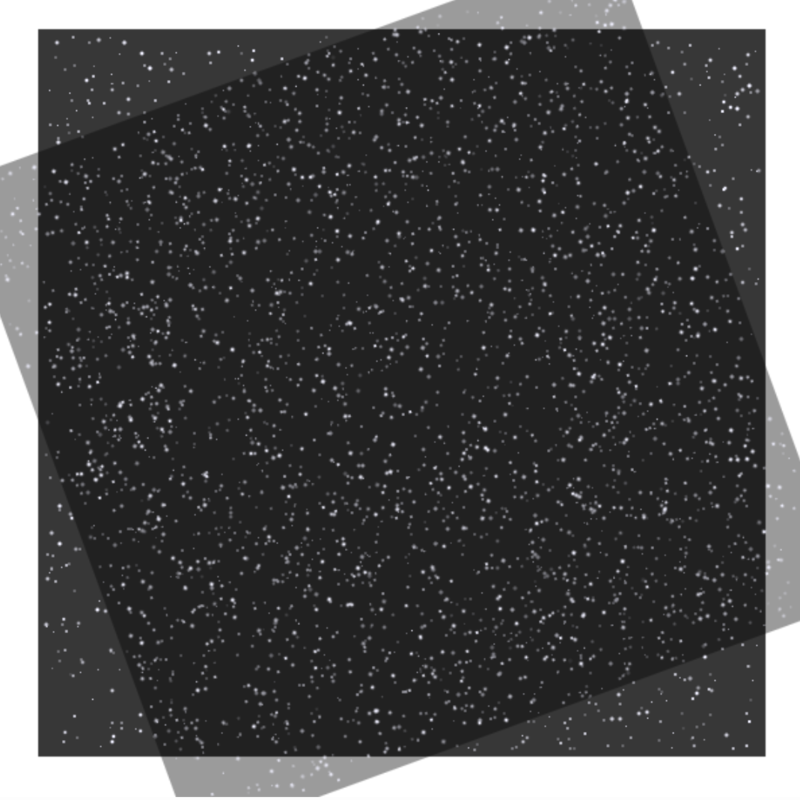 Two identical layers of random white dots are overlapped on top of a dark background. When the top layer is rotated and shrunk slightly, Moiré patterns arise. In this case, they take the shape of spirals.